A diversified firm of equipment supply and services provider. Criveller Company was founded in 1978, with an emphasis on providing innovative processing and packaging solutions to the wine regions of Canada. Criveller forged alliances with leading European equipment manufacturers, and became recognized not only for high quality equipment, but also for its technical consulting and design services as well as superior customer service. Many long-term business relationships were established through dedication and personal involvement. Criveller soon opened a manufacturing plant of its own, to complement its equipment importation and design service functions. The plant specialized in the production of stainless steel tanks, initially concentrating on the winery sector. The facility flourished, and in the mid-80's, Criveller diversified itself, with the production of brewing vessels, brew house process piping systems, and cellar tanks for the microbrewery and brewpub sectors. Criveller applied its turnkey capabilities, project management experience, and "Yes, we can!" attitude to become a global supplier to the food and beverage industries. Today, Criveller is a fully diversified firm, providing equipment and services to a wide range of clients in the food and beverage industries. 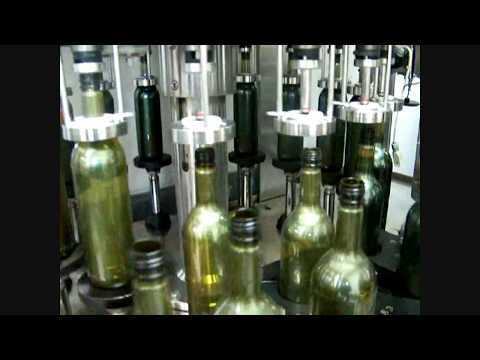 With 3 state-of-the-art manufacturing locations (Ontario, California, and Italy), projects not only encompass the winery and brewery sectors, but has also included pasta sauce production facilities, blending and metering systems for vodka production, tanks and packaging solutions to the bottled water industry and Olive oil production. Criveller has built a reputation of working with companies in a partnership relationship to help organizations meet and exceed their expectations. Experience, dedication, and innovation along with our website and e-commerce capabilities, offer our partners product and solutions which is unmatched in the industry. Criveller has extensive experience in providing turn-key plants - beginning with the raw product and ending with the finished, packaged product. We have designed, procured, constructed, and commissioned plants on four continents. 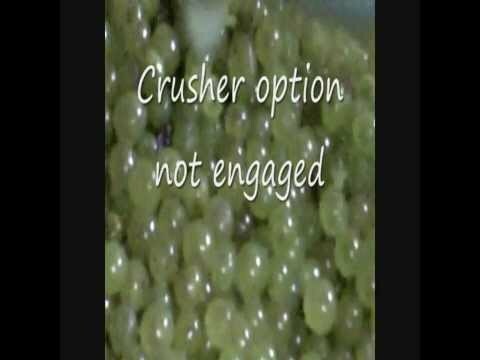 From grape destemmers and presses, to specialized chilling systems, Criveller has vast experience in processing. We are aligned with major European manufacturers, and also fabricate our own equipment. In-plant piping and conveyance installation are also available. Filtration is a crucial function in the food and beverage industry, and Criveller has the expertise and equipment to meet the most stringent requirements. We provide clients with innovative and cost-effective solutions . from simple plate filtration to the latest technologies available. Criveller is able to supply a wide range of packaging solutions - from manual to semi-automatic to fully automatic. Packaging lines have been installed for a variety of products, and encompassing filling with gravity, light vacuum, under pressure, and volumetric. 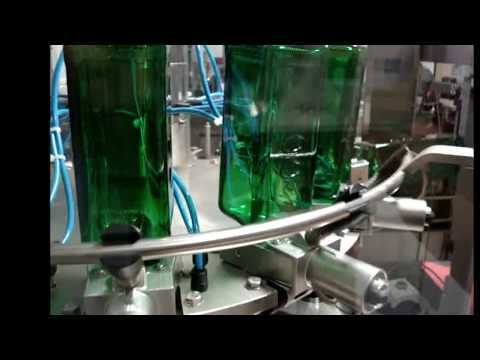 Criveller prides itself in providing equipment sized from a few hundred bottles per hour up to 10s of thousands of bottles per hour. Criveller's manufacturing facilities specialize in stainless steel fabrication, and together with our partner Azzini of Italy, have become known for high quality construction. Tanks have been fabricated in-house and on-site for a diverse range of industries, including food, pharmaceutical, beer, wine, and water. Our licensed Professional Engineer ensures your design requirements are met, applicable codes and standards are followed, and that fabrication follows our rigorous quality procedures. Criveller is able to supply stand-alone services, or services along with equipment procurement. Staff specialists are able to provide innovative solutions which meet clients' needs - not only satisfying process requirements, but also timing and budgetary constraints. Tanks installed in Temecula. This tank is equipped with a brushed clad finish. Improved D.E. Filter is faster, cheaper, and easier to clean. Enoveneta destemmer is easy to clean and gentle on berries. 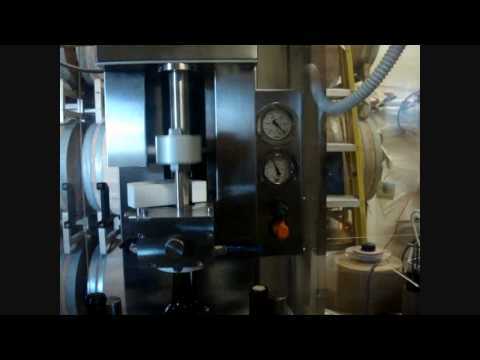 Pneumatic presses available in many sizes from 1.8 to 42 tons of grape. Complete with pre-programmed cycles for maximum control. The new "Automatic sorting table" has been designed for the following application: · Removal of shot berries and seeds · Removal of stems or any other large debris · Removal of "Jacks" This new table consists primarily of a vibrating table constructed in two levels and with 3 sections, each one dedicated to a specific application and precisely: · First Section: Separation of shot berries, with drawer style collection screens. Easy to remove and to clean. The double drawer-screen allows the operator to clean screens without stopping the unit. · Second Section: Removal of stems. This is the core of the table and has been designed and patented by us. 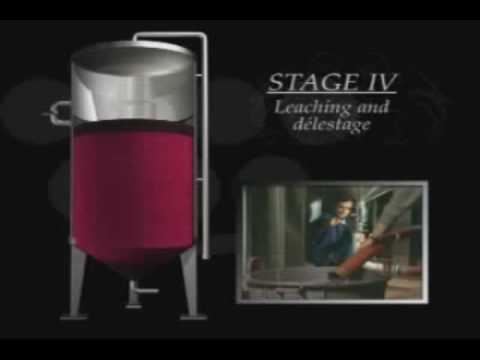 It consist of a slotted screen on which parts of the slots are adjustable in width and in inclination thus allowing the berries to go through (and fall into the lower section) while the stems or other debris continues forward and are collected through side discharge channels · Third Section: Manual inspection and additional debris removal. It consist of a flat surface, where the operator can manually intervene and remove any debris that may have gone through and a secondary screen for the removal of any "jacks" , shot berry or seeds that avoided the first section. The entire structure is made in stainless steel. An inverter is provided to control the vibration intensity and consequently the speed of the unit. 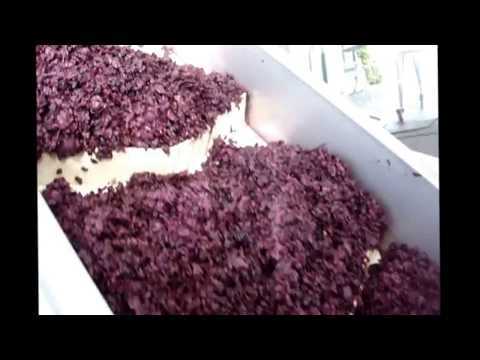 Criveller has solved the problem of unloading pomace from fermenters for medium to large wineries. By a simple turn of a switch you can unload an entire red fermenter with minimal physical labor. Two stainless steel paddles turn on top of an internal reverse truncated cone and completely empties the large fermenter with ease. The paddles are controlled via a bottom mounted gearbox reduction motor. The unloading of pomace is even and gradual throughout the entire operation. 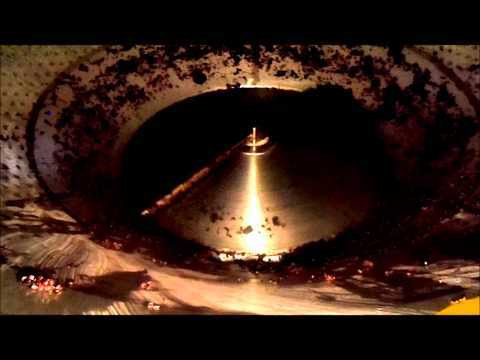 A manway mounted on the inclined bottom allows the discharge of the pomace directly onto a conveyor, bin or adequate pump. Sizes range from 4000 gal up to 30,000 gal. 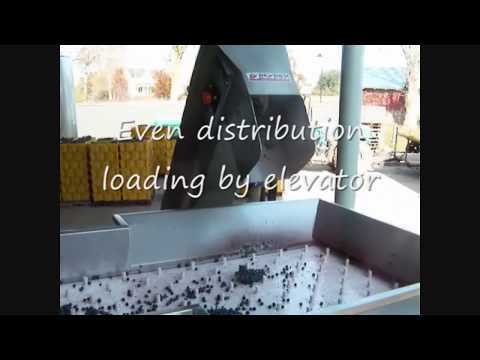 Criveller grape elevators come in a variety of sizes and lengths. Several options are available such as: Speed controlled via freq drive Large loading hoppers for complete 1/2 ton bin dumping Various belt material and paddle designs Our elevators also boast one of the widest belt lengths in the industry! 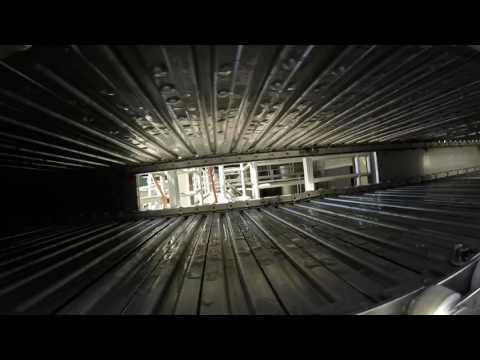 Depending on your needs, custom elevators can also be fabricated to fit perfectly into your sorting line! This is the first Estasi installed in the valley with many more to be installed!!!! 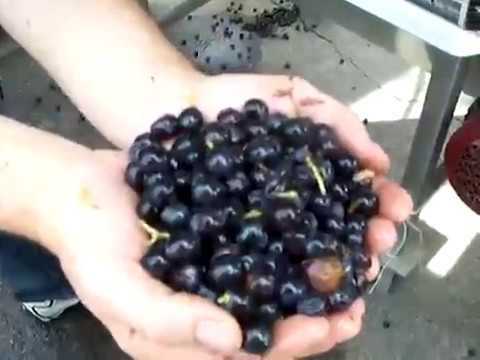 This video shows the machine working with Grenache, Zinfandel and Syrah with great results. This is a high output system capable of processing 80 tons/hr. 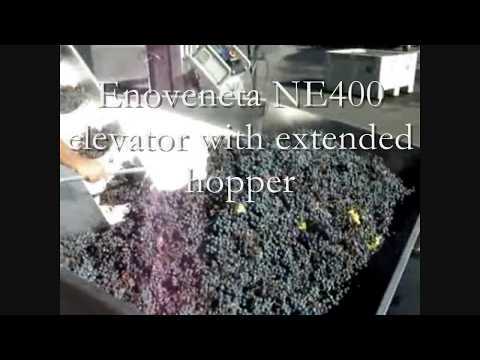 Using the Enoveneta Top 80 with the Enoveneta 513 mohno pump is the ideal solution for processing high amounts of grapes. Criveller also custom designs many styles of conveying systems. Yet another fine example of the versatility of the Estasi destemmer crusher. 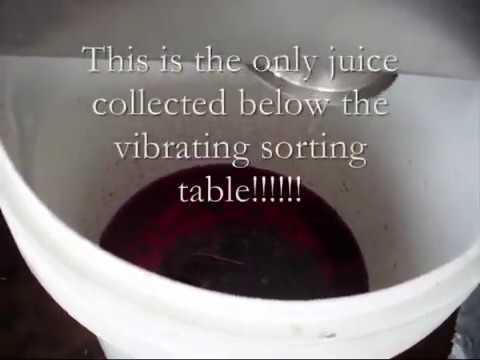 Not only is it capable of destemming with a high percentage of whole berries, but it can also be used as a sorting table! This video describes the innovative process of Ganimede Tank Technology. 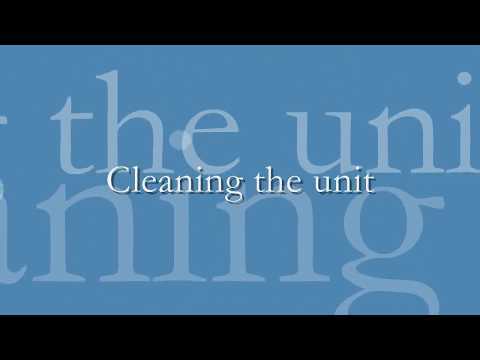 The video describes the history, function and application of the tank. Criveller has sold many of these tanks both on the east and west coast of North America. This video shows in detail why Nortan is one of the best companies in the world for capsule distribution. 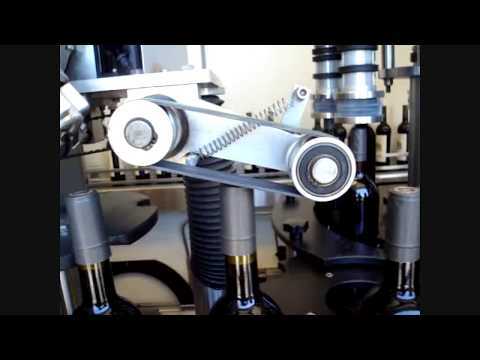 This video was filmed at select mobile bottling at a winery in Sonoma. The machine in this video is a Prisma 80R which can reach speeds up to approx. 6000 bph. 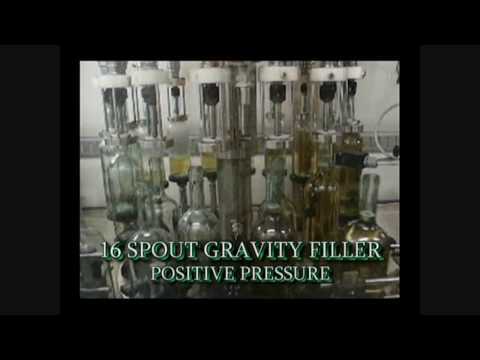 Prestigious Napa Valley Winery utilizing a complete crush pad set up by Criveller. Equipment manufactured by Enoveneta includes the following components: NE400 elevator, TOP 15 destemmer crusher, TSA automatic post sorting table, PEV280 peristaltic pump and membrane press model PP45 (not shown). 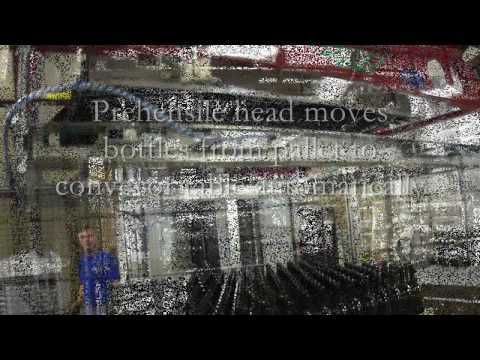 This is one of the first mobile bottling lines in the world that is bottling wine in PET. The monoblock used was a FIMER 16-1. 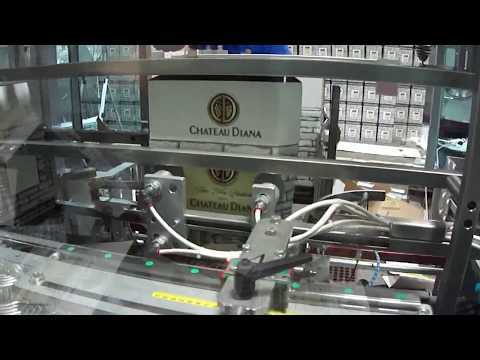 This rotary style labeller has been installed in some of the best known facilities around the world. 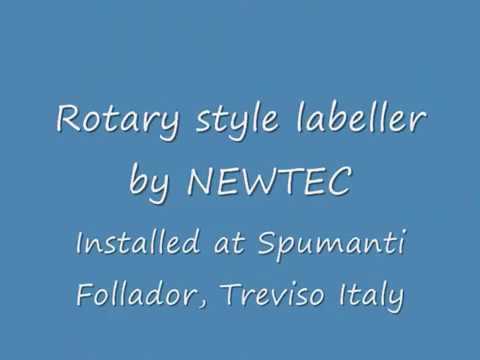 Mumm and Pierrel Champagne producers in France, Torres in Spain and Spumanti Follador in Italy are just a few who use this labeller by Newtec. 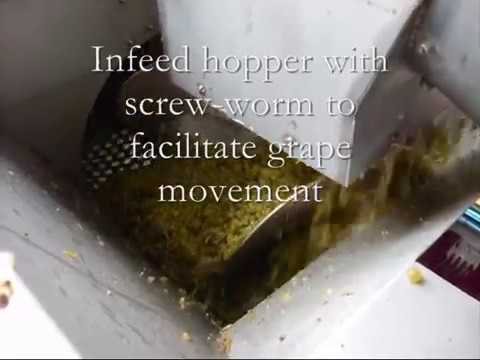 Watch as the Francesca pumping destemmed grapes without difficulty. Francesca - Powerful enough to pump thick and dense crushed grapes yet delicate enough for barreling your premium wines. 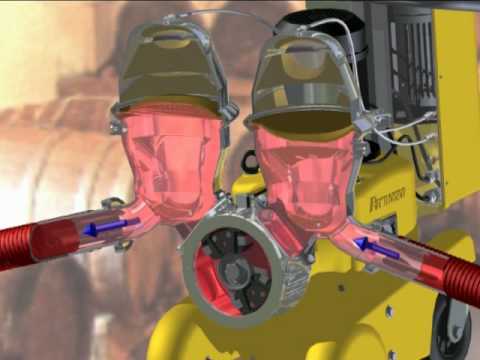 This is a short video describing how the Francesca pump works the way it does. 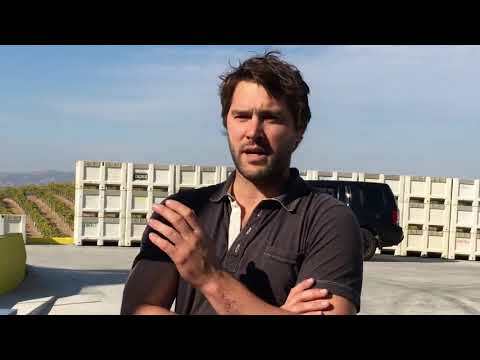 Great video showing Estasi working on destemming Chardonnay with crusher rollers disabled. Excellent view of whole berry output. 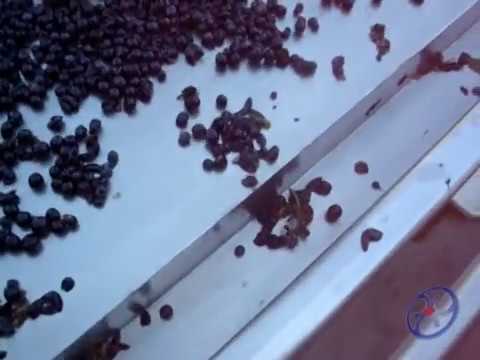 Estasi showing grape sorting on vibrating table, followed by elevator into Estasi destemmer/crusher. Also shows a view of internal operation of machine. High quality production for all grape varietals and harvest conditions. Gentle on the berries and easy adaptability to different grapes varietals, both for hand-picked and machine-harvested grapes. This unit is capable of removing a whole layer of bottles off a pallet in 1 minute! Can operate fully automatic or in manual mode. Optional automatic bottle layer separator can be installed. This unit is capable of speeds up to 12-15 cases/min and is suitable for a wide variety of applications including: Wine bottling, beer bottling, water bottling, food packaging and more. Need Crush Equipment for the 2019 Harvest? Criveller has several items In-Stock! Are you ready for Harvest? Need tanks, pumps, crush equipment immediately? We have stocked up on equipment that is readily available for pick-up and/or delivery! If you do not see what you are looking for above, please check our In-Stock equipment list on our website. In-stock equipment will ship from Healdsburg, CA. Order your 2019 Harvest Equipment before it's to late!